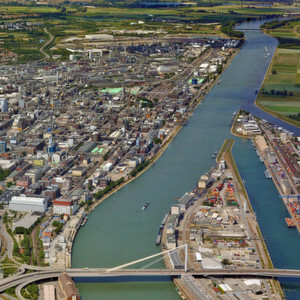 Chemical giant BASF reports the spillage of several hundred kilogramm of chemicals into the river Rhine. Ludwigshafen/Germany – Around 600 kg of Trilon B leaked out of a broken pipe bridge, the company stated. These chemicals were accidently transferred into the river Rhine by a cooling cycle. The specific cause of the failure is still subject of investigations at the company, speakers explained. Trilon B is a chelating agent used in the production of cleansers and detergents. The substance is classified as hazardous to water (water pollution class 2).